Online retail and e-commerce brand Ebay is opening what it calls the world's first 'emotionally powered' pop-up store. Open from today (29 November) and also tomorrow (30 November), the 'do good, feel good' experience will welcome guests and encourage them to 'unwrap' what it means to give thoughtfully this Christmas. Located in central London, the pop-up store aims to tackle the stress of Christmas present-buying by inspiring shoppers to reconnect with the emotional spirit of giving. By using intelligent bio-analytic technology and facial coding, Ebay hopes to remove the stresses of the outside world in a next-generation shopping environment. Guests will get to browse a selection of items from Ebay's giving page, and will discover which items they emotionally connect with the most. Ebay collaborated with US-based emotion technology company Lightwave to install the facial coding technology and ambient biometric sensors, which will be able to identify and record which products provoke the strongest feelings of giving. Vistors can enter biometric booths, as well as receive personalised emotion reports, to hone in on the items they connect with. 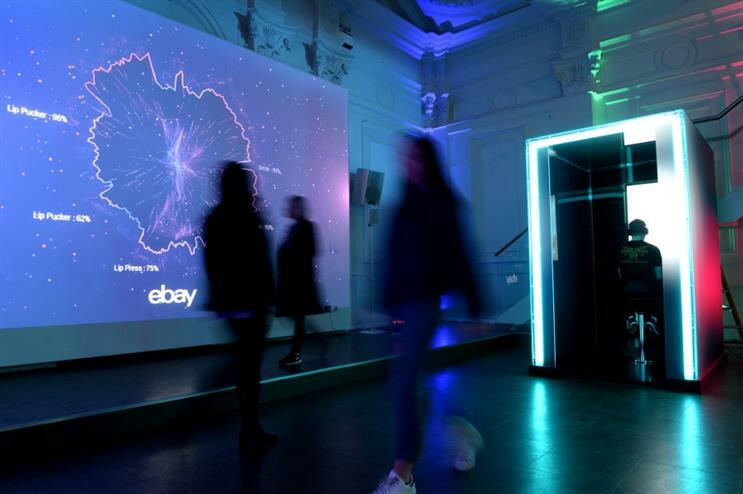 As a centre piece, Ebay has created an 'emotional tapestry', which will translate the real-time emotions of shoppers. The pop-up was timed to coincide with 'Giving Tuesday' and 'Cyber Monday'. Ebay senior retail director, Rhian Bartlett, said: "This Giving Tuesday, we’re challenging Britain to think differently about their gift buying. With hundreds of great brands available on Ebay, all supporting worthy causes, there’s no better way to give the perfect gift." Together with Ebay, the activation was managed and delivered by creative agency Exposure. Earlier this month, e-commerce company Etsy launched its 'Everyday Emporium' at Gallery Different in London. Last week, online food delivery service Just Eat hosted its 'The Future Now' event in Shoreditch.